A simple addon that works only on Minecraft PE 1.8.0.8 and the following betas. 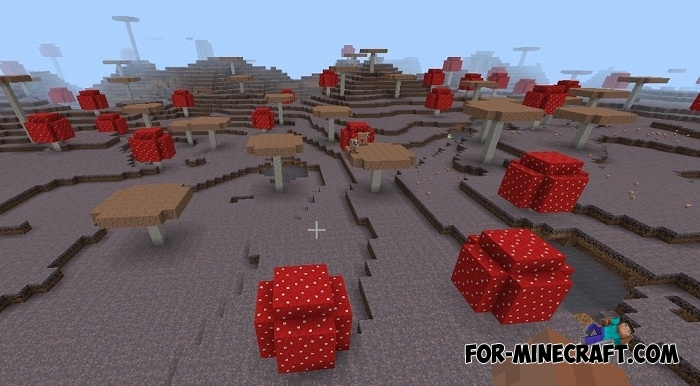 As you know, there are red mushroom cows in Minecraft whose prototype is a toadstool. This red mushroom is often found in the game as well as brown, but alas, there is no brown mushroom cow and this addon fixes this flaw. Brown cows are partially different from red cows with a few differences below. The brown mooshroom will follow you if you have a mushroom. It does not work as a domestication but can help you take a cow somewhere. 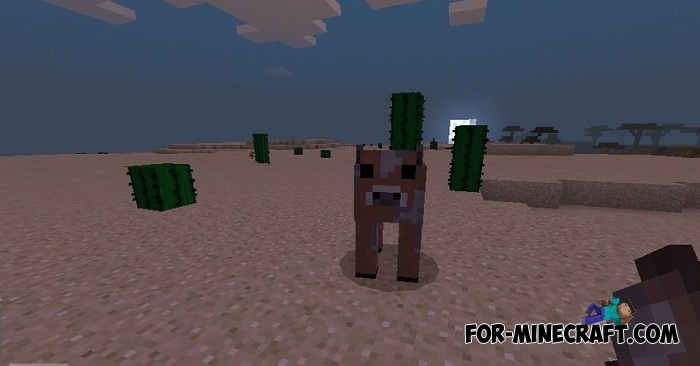 As a new mob, a brown cow does not break the generally accepted laws of Minecraft BE and does not spoil survival. How to install the Brown Mooshrooms addon?